Our UPVC and aluminium conservatories are available in a wide range of colours and a number of finishes. 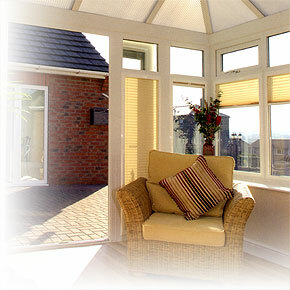 Your conservatory roof is available in glass or polycarbonate - both in a choice of colours. The colour swatches above should be used as a guide only. "Just a line to let you know how pleased we are with the door that was fitted by Amy and Peter last Monday. They worked efficiently, quietly and tidily. We would have no hesitation in recommending your firm to our relatives and friends for similar work. We have wanted a new door for some time and we can now do away with the curtain we used to use in the winter."